Marina Kondratieva was born in Leningrad (St. Petersburg) but studied at the Moscow Choreographic School in Galina Petrova?s class. Upon graduation in 1952 she engaged at the Bolshoi Theatre where she made a successful debut and became a soloist. Since then, Kondratieva?s name is closely connected with the Bolshoi Ballet. She danced classical roles including Giselle, Odette-Odille, Aurora, Masha, roles in Chopiniana and Le Spectre de la Rose. She also danced in many contemporary ballets working with choreographers of 1950-60s. Thus, she performed leading roles in ballets by Leonid Lavrovsky (Romeo and Juliet, the first ballerina to dance Muse in Paganini), Rostislav Zakharov (Cinderella), Leonid Jakobson (the first dancer of Bird Maiden part in Shurale), Yuri Grigorovich (The Stone Flower, The Legend of Love, Spartacus, The Sleeping Beauty), Natalya Ryzhenko and Viktor Smirnov-Golovanov (Anna Karenina). Marina Kondratieva retired from dancing in 1980 and since then she has been a teacher at the Bolshoi Theatre. Her dancing career earned her well-deserved popularity and a number of government awards. Today she is giving ballet classes sharing her experience gained throughout successful career with a young generation of Moscow ballerinas. Among her students there are such presently famous ballet soloists as Nadezhda Gracheva, Anna Antonicheva, Anastasia Volochkova, Ekaterina Shipulina, Nina Kaptsova. As a competent ballet teacher, Marina Kondratieva has been invited in various countries of the world. 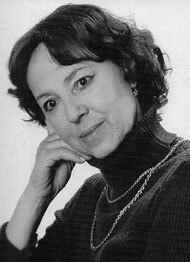 In 1980-90s she combined teaching with production work: at the Bolshoi, she staged Pas de Quatre, Grand Pas from the ballet Paquita; in the National Ballet of Korea- Swan Lake, Giselle, Cinderella, Don Quixote, The Sleeping Beauty; in l?Opera de Nice — Marius Petipa?s ballet evenings.